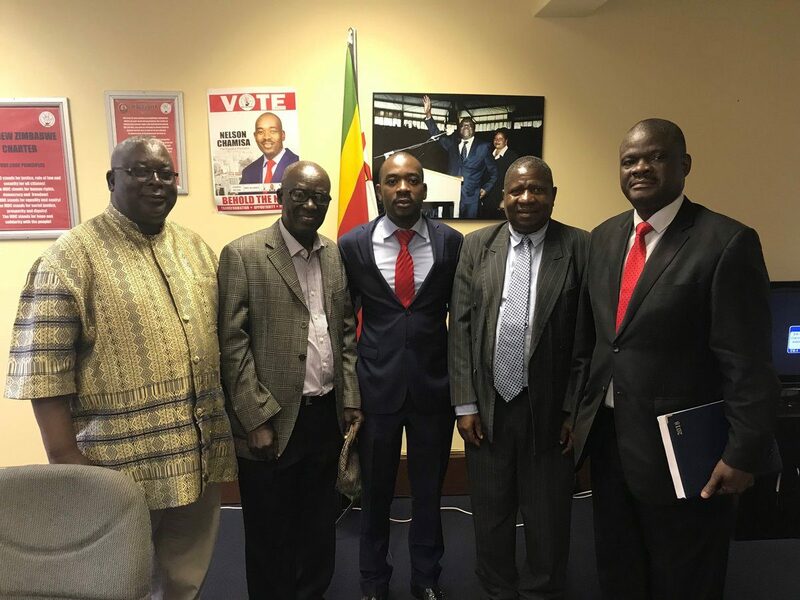 HARARE – MDC-T leader Nelson Chamisa on Tuesday named two additional vice presidents and made other senior appointments as the party gears to revert to its original name – simply the Movement for Democratic Change (MDC). Party chairman Morgen Komichi was promoted to vice president together with Professor Welshman Ncube. They join Elias Mudzuri, who stays in the same position. Thabitha Khumalo is the new chairperson of the MDC, to be deputised by Tendai Biti. Jacob Mafume is the party’s new spokesperson, Khumalo’s old position, deputised by Shepherd Mpofu, it was announced. The MDC, formed in 1999 this month, is celebrating 19 years at Gwanzura Stadium in Harare on Saturday on the back of a disputed election defeat by Zanu PF on July 30. Since its formation, the party has witnessed several splits – starting in 2005 when disagreements over whether to participate in Senate elections led to the party’s late former vice president Gibson Sibanda leading a breakaway from the late leader, Morgan Tsvangirai. Tsvangirai avoided a legal dispute with his former colleagues over the party name, allowing them to keep the MDC name while he added the letter ‘T’ for Tsvangirai to the party’s name. The party participated in elections as MDC-T until the 2013 general elections. Tendai Biti, Job Sikhala and Elton Mangoma all led breakaways from the party at different stages. Sikhala, who had formed MDC-99, returned to the MDC-T. Mangoma formed the Coalition of Democrats and has so far refused to rejoin his colleagues while Biti’s People’s Democratic Party was one of seven political parties which came together with the MDC-T at the last election to contest as the MDC Alliance. The MDC, now led by Prof Ncube, was part of the Alliance. Chamisa says in making the latest decisions, he was guided by a resolution of the MDC-T’s national council and the party’s national executive that he should work to bring back the break-away parties and also absorb willing Alliance parties into one party. “The appointments will strengthen capacity as we prepare for a better Zimbabwe. It is important to underline that the name of the party is the MDC. Both MDC-T , MDC Alliance and other names used in the past were simply election vehicles and not the legal names of the party,” Sibanda said. The re-united MDC is set to hold its congress before the year ends, at which all elected positions will be declared vacant.